Following practice on Saturday, November 17th, the Midget 16U team traveled to Windsor to support the Windsor Community Care Network Holiday Dinner. Players dressed in Flyers gear and were the talk of the room. 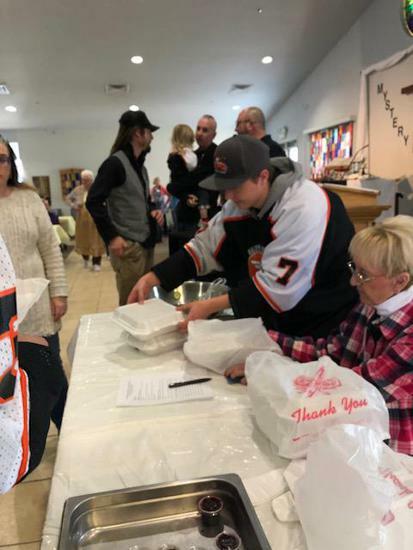 The Flyers volunteers helped serve free community dinners, cleaned tables, served beverages, packed and then delivered meals to people who could not physically attend, plus various other chores and duties. We are so proud of our team’s participation and the players willingness to make a significant impact in our community! Thank you to all who volunteered! 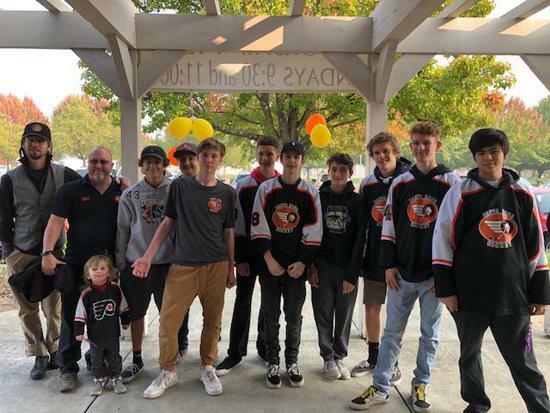 The Bantam Team Helped at Sonoma Strong Healing Fair By Jennifer Krug, 11/5/18 In September, members of the Bantam Team volunteered as door monitors at the Sonoma Strong Healing Fair. The organizers expressed how much they appreciated the help from the team. The event was free of charge, and provided a place for people to go for all sorts of free healing treatments. There were also many Sonoma County nonprofits there, letting attendees know about free or low cost services available to them. 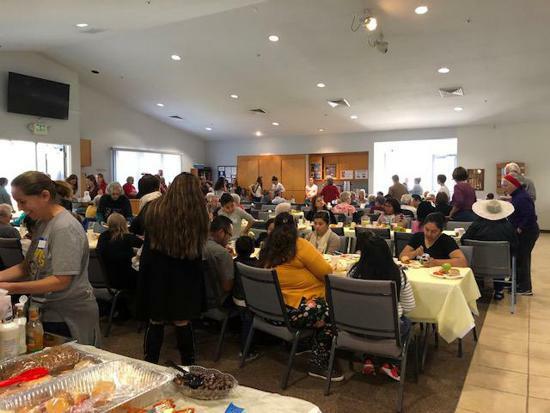 There are still so many who are in the process of healing after the fires, and it was great to be a part of an event dedicated to serving them. 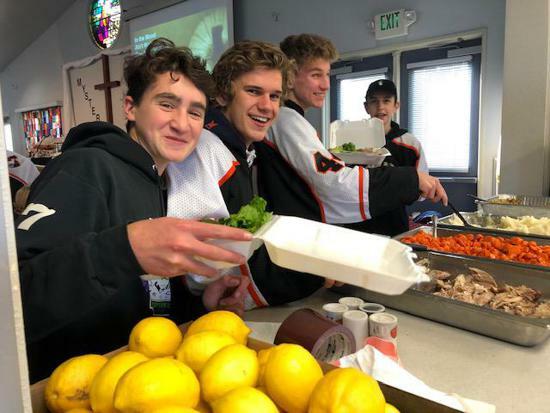 Flyers are doing good work in our community! Check out this story about the Bantam community effort. Way to go Spring League Players and Coaches and Team Manager! If your team is doing good in our community, please let Lisa Kuehn know! neuger@hotmail.com. Community service is part of the Bantam Spring League training.